Well, my camera is anyway. It is way too warm still to be thinking of snug and cozy for anything else. Speaking of my camera, I have a new one that takes awesome pictures and doesn’t run on a pack of AA batteries a week. This camera, if you happen to be so interested. It was on a good sale last week. I’m not taking a picture of my camera. That is just too weird. 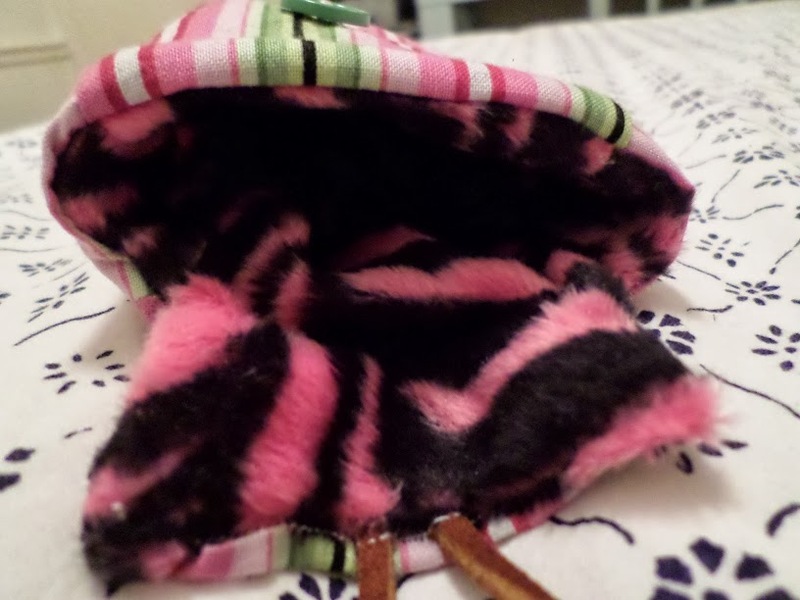 I used a plain cotton for the outer part, and some faux fur on the inside to make it nice and cushioned. 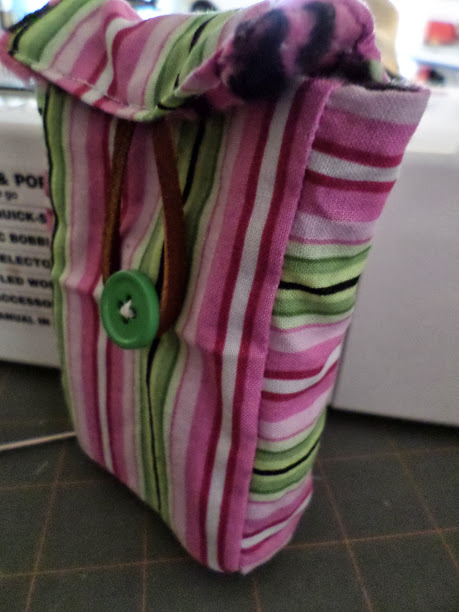 I added a button and some suede thread for a looped closure. The way the flap covers the top, I can use the wrist strap of the camera to carry it in the case. A quick and easy way to have a camera case that didn’t cost anything and is much brighter than the cases offered at the store.